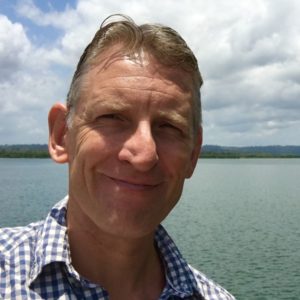 Dr Bob Smith is the Director of the Durrell Institute of Conservation and Ecology (DICE) at the University of Kent and Founder and CEO of Izele, the online social network for conservation. He is a conservation scientist and much of his research focuses on identifying priority areas for conservation and designing ecological networks. This has involved leading long-running projects in Southern Africa and the UK but he has worked on projects in 22 countries in Africa, Asia, Europe and South America. His research also encompasses a broad range of topics, including flagship species conservation and understanding human-wildlife conflict. In particular, he has published seminal work on the influence of corruption in conservation, especially linked to the illegal wildlife trade, and the role of marketing in conservation. Bob is an Honorary Senior Fellow at the United Nations Environment Programme – World Conservation Monitoring Centre and a member of the IUCN’s Species Survival Commission and World Commission on Protected Areas Joint Task Force on Biodiversity and Protected Areas. Dominic Jermey (CVO OBE) is the Director General for The Zoological Society of London (ZSL). Dominic is responsible for leading ZSL in its goal of achieving the global conservation of animals and their habitats. Leading the formulation and implementation of a new strategy for ZSL, Dominic is positioning ZSL as a global wildlife conservation organisation, undertaking conservation and science projects in over 50 countries, engaging over a million visitors to its two world-class Zoos (ZSL London Zoo and ZSL Whipsnade Zoo) on wildlife-related issues and carrying out world-class wildlife science at ZSL’s Institute of Zoology. Dominic was previously British Ambassador to Afghanistan, leading one of the UK’s largest embassy teams, supporting the Afghan Government fighting terrorism, developing their security forces, building accountable government institutions and providing humanitarian assistance. Previously at the Foreign and Commonwealth Office (FCO) as Counter-terrorism Coordinator after being CEO of UK Trade and Investment and on the Boards of both the FCO and BIS, the Department for Business. Earlier Dominic spent four years responsible for UK relations with the United Arab Emirates as UK Ambassador. Previously, Dominic led UK Government support to companies in high innovation sectors of the UK economy as they diversified internationally at UK Trade and Investment. Dominic has an extensive background in conflict resolution in a wide range of war and conflict zones. 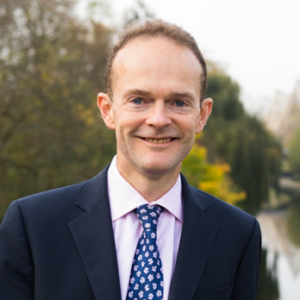 Originally an investment banker, specialising in corporate finance, Dominic has also been a trustee of an international development NGO for ten years. Policy-makers and practitioners are generally committed to evidence-based decision-making, but this can be challenging in the face of misinformation, lobbying and inadequate information. Tools and expertise to improve the evidence base for national and international Illegal Wildlife Trade policy already exist but are underutilised. Tapping into these resources would produce substantive benefits for wildlife conservation and associated sectors, enabling governments to better meet their obligations under the Sustainable Development Goals and international biodiversity conventions. This can be achieved through enhanced funding support for inter-sectoral research collaborations, engaging researchers in priority setting and programme design, increasing developing country research capacity and engaging researchers and community voices in policy processes. Better aligning public policy discourse and action with research evidence would make IWT policy more effective. Ling XU, Acting Head of TRAFFIC China & WWF China-Wildlife Trade Programme, has been working on wildlife trade issue in China since 2006. Her main responsibility is to lead a strong China team to deliver a range of project activities in the area of wildlife trade, including providing long-term technical supports to governmental enforcement on combating IWT by sharing market monitoring results and facilitating capacity building with/for enforcement officers, as well as delivering online/offline behaviour change initiatives to reduce demand for ivory and other endangered species products. 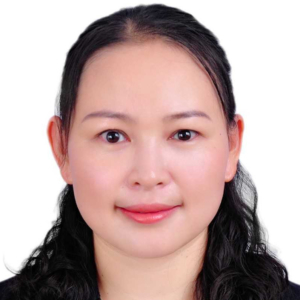 She is also responsible for partnership development and networking with government departments and business sectors in China. She is based in Shanghai, China. Previously, he served as an ecologist within the Zimbabwe Parks and Wildlife Management Authority based in Gonarezhou National Park. He has been involved in two assessments under the Intergovernmental Science-Policy Platform for Biodiversity and Ecosystem Services (IPBES), i.e., as Lead Author (Chapter 4) for the Africa Regional Assessment on Biodiversity and Ecosystem Services and Review Editor (Chapter 5) for the global Land Degradation and Restoration Assessment. He has recently been involved as a community-based natural resource management expert in Zimbabwe’s Communal Areas Management Programme for Indigenous Resources (CAMPFIRE) review. 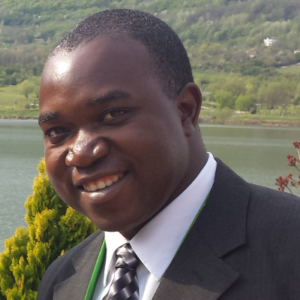 He holds a BSc (Hons) in Environmental Science and Health from the National University of Science and Technology, Zimbabwe, an MSc in Tropical Resource Ecology from the University of Zimbabwe and a PhD in Wildlife Conservation and Management from Wageningen University and Research, the Netherlands. Rosaleen Duffy is Professor of International Politics, University of Sheffield. Rosaleen uses a political ecology lens in order to understand global environmental change. She is particularly interested in the global politics of biodiversity conservation, and focuses on global environmental governance, wildlife trafficking, poaching, transfrontier conservation and tourism. Recently, her work has sought to understand the growing links between global security and biodiversity conservation. 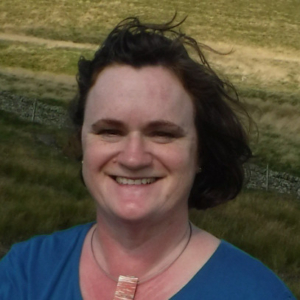 She is author of Nature Crime: How We’re Getting Conservation Wrong(Yale University Press, 2010) and Co-author of Brockington, Duffy and Igoe, Nature Unbound: Conservation, Capitalism and the Future of Protected Areas(Earthscan, 2008). In 2016 she was awarded a European Research Council Advanced Investigator Grant of EUR 1.8 million for BIOSEC – Biodiversity and Security: Understanding environmental crime, illegal wildlife trade and threat finance. The project runs from 2016 to 2020. Scott Roberton, PhD, Director for Counter-Wildlife Trafficking, WCS Asia program. Scott has 18 years’ experience working to combat wildlife trafficking across Asia including work in Viet Nam, China, Lao PDR, Cambodia, Myanmar, Indonesia and developing transcontinental initiatives between Uganda-China, Mozambique-Vietnam and more recently has worked on WCS’s CWT strategy for the Latin America region. Scott has led pioneering research into a wide range of critical conservation issues; developed curricula, training materials and technical guides, and delivered training to law enforcement officers; coordinated analyses and provided reform plans for provincial and central government agencies in institutional arrangements and legislative frameworks for wildlife crime control; criminal information/intelligence management, inter-agency cooperation mechanisms, and international cooperation agreements; and provided inputs and consultation on revised wildlife protection legislation. Before joining the University of Oxford in November 2015 as Tasso Leventis Professor of Biodiversity, E.J. was Professor of Conservation Science at Imperial College London for 15 years, and has held previous positions in Resource Economics and Mathematical Ecology at Oxford, Imperial and Warwick Universities. E.J. has a particular interest in developing and applying methods for understanding and predicting human behaviour in the context of local resource use in developing countries, and improving the effectiveness of incentive-based mechanisms such as payment for ecosystems services and biodiversity offsetting, in the marine and terrestrial realms. She works on the illegal wildlife trade and is the Co-Director of the Oxford Martin Programme on the Illegal Wildlife Trade. She is interested in designing, monitoring and evaluating conservation interventions in order to improve their effectiveness. She is also passionate about the conservation ecology of the saiga antelope in Central Asia, and co-founded the Saiga Conservation Alliance in 2006. 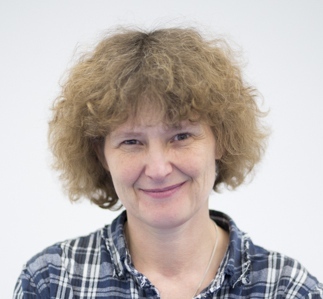 Professor Milner-Gulland‘s research group is strongly interdisciplinary and has a wide range of research interests within conservation science. Its ethos is to ensure that all the research they do addresses issues identified by practitioners, and is carried out collaboratively with end-users. We are thrilled to announce that the media panel and multidisciplinary networking reception are jointly hosted by BIOSEC Project, University of Sheffield; Durrell Institute of Conservation and Ecology (DICE), University of Kent; Fauna & Flora International (FFI); International Institute for Environment and Development (IIED); Lancaster Environment Centre (LEC), University of Lancaster; International Union for Conservation of Nature’s Sustainable Use and Livelihoods Specialist Group (IUCN SUli); Oxford Martin Programme on the Illegal Wildlife Trade (OMP-IWT), University of Oxford; Zoological Society of London (ZSL). The panel will address the role of the media in reporting on complex and emotional IWT stories. 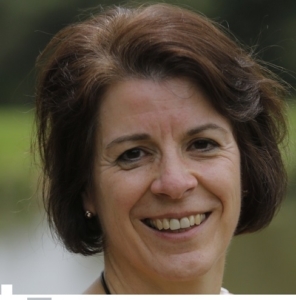 Dr Dilys Roe leads the Biodiversity Team at the International Institute for Environment and Development (IIED), a sustainable development think tank in London. Dilys has worked for many years on the social aspects of nature conservation, including human rights dimensions, and on community-based conservation. Recently this has involved a strong focus on engaging communities in efforts to tackle illegal wildlife trade and she has partnered with IUCN on the Beyond Enforcement Initiative and Communities: First Line of Defence initiative. Dilys is a member of the UK Govt Illegal Wildlife Trade Advisory Group and sits on the Steering Committee of the IUCN Sustainable Use and Livelihoods Specialist Group. Rachael Bale is a National Geographic Society wildlife trade investigative reporter, reporting on wildlife crime and exploitation for the series Wildlife Watch and National Geographic magazine. Previously, she covered the environment for the Center for Investigative Reporting. 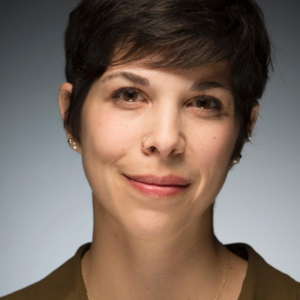 She also has worked for KQED, San Francisco’s public radio station, and for the Center for Public Integrity, a nonprofit investigative newsroom. A California native, Bale has a bachelor’s degree in political science from Reed College and a master’s degree in journalism from American University. She is based in Washington, D.C. You can contact her by email at rachael.bale@natgeo.com or on Twitter at @rachael_bale. As freelancer Investigative Journalist (Print, broadcaster, documentary, photography) assists the First southern Africa Environmental Investigation Unity Oxpeckers with transnational investigations, Extractive Industry, Biodiversity-Environment, Timber, Ivory, Rhino horn politics, economical problems in the sub-Saharan region and other such as Guine- Bissau with range of outlets Mozambican private newspaper such has Zambezi, A Verdade, Savana and international media outlets. Featured by the Forum for African Investigative Reporters, Le Monde, M&G, Foreign Police, Aljazeera, Daily Maverick, the Star, German radio station Deutsche Welle, CNN, EIA London, U.S, South African television stations, and the Reuters Thompson Foundation, Zammagazine among others. Publications in different languages. From Portuguese, English, Italian, French, among others. Consultancy and investigation with Environment investigative agency (EIA-London) on Timber and ivory smuggling and also Environment Investigative Agency (EIA-US) Timber and investigation in Mozambique and Guine-Bissau. WWF Mozambique on environment-forest, wildlife, fisheries, Timber, Ivory and other areas. Contribution for Global initiative on political, social, economic development. Founder of the newspaper Zambeze daily online, Moz24 and co-Founder of the first Mozambican investigative centre. Award winner Fair-African investigative journalism award winner 2012 Run up investigation in 2011 disclosing the Africa-China timber looting involving Mozambican government members. WWF Award 15th anniversary celebrations of the Worldwide Fund for Nature (WWF) in Mozambique on January and member from IRE, AIPC, FAIR, etc. Jonathan Watts is global environment editor of The Guardian and a former Latin America reporter and Asia environment correspondent. For the past decade, he has focussed on climate and biodiversity, principally as author of the eco-travelogue When a Billion Chinese Jump, co-founder of the China Environmental Press Awards, lead writer for Guardian’s Environmental Defenders Project and most recently as co-initiator of the $5 million Rainforest Journalism Fund. Among numerous reports on the illegal wildlife trade, he went undercover at a Chinese auction for tiger-bone wine, joined a dawn raid on a Brazilian timber-laundering operation, followed student activists in Guangdong animal markets, profiled a park ranger in Uganda, forest guardians in Madagascar, and filed depressingly frequent dispatches on pangolin smuggling. His 22-year journalism career also includes coverage of the death of Fidel Castro, impeachment of Dilma Rousseff, Indian Ocean tsunami disaster of 2004, Sichuan earthquake of 2008, Fukushima nuclear disaster of 2011, two World Cups (2002 and 2014), two Olympics (2008, 2016) and numerous environmental conferences, notably Copenhagen 2009 (climate), Nagoya 2010 (biodiversity), St Petersburg 2010 (tigers) and Shimonoseki 2002 (whales). 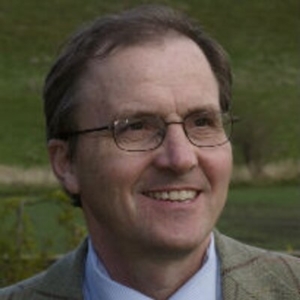 Professor Keith Somerville​ is a Member of the Durrell Institute of Conservation and Ecology, University of Kent, where he teaches at the Centre for Journalism. 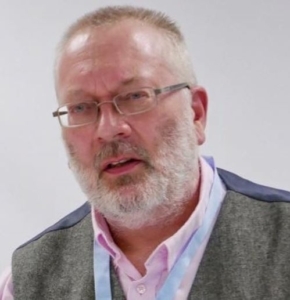 He is also a Fellow of the Zoological Society of London, a Senior Research Fellow, Institute of Commonwealth Studies, University of London and a Research Associate, Marjan Centre for the Study of War and the Non-Human Sphere. Department of War Studies at King’s College, London. 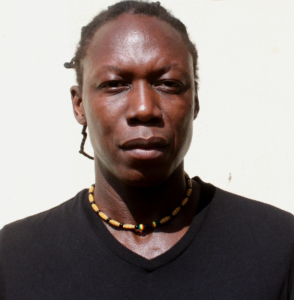 He is also the creator and editor of the Africa Sustainable Conservation News. A career journalist with the BBC World Service, BBC News Online and the BBC College of Journalism for 28 years, he has covered major international political events, African conflicts and conservation issues. He has written widely on African politics and conservation issues. Among his books are Africa’s Long Road Since Independence (Penguin, 2017), Ivory. Power and Poaching in Africa (Hurst, 2016) and Radio Propaganda and the Broadcasting of Hatred (Palgrave Macmillan, 2012). He is currently writing a book on the history of human-lion coexistence and conflict from the Pleistocene to the present. 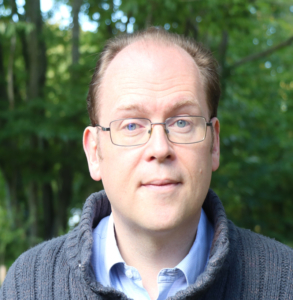 He has written on the media coverage of the Cecil the Lion affair and contributes regular pieces on conservation and human-wildlife conflict to The Conversation, Talking Humanities and Global Geneva. 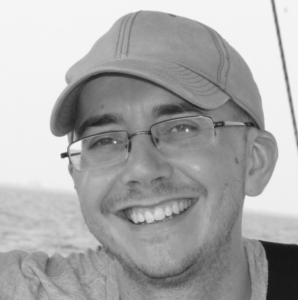 Jacob Phelps is Lecturer in Tropical Environmental Change and Policy at the Lancaster Environment Centre. He has a long-standing interest in wildlife trade, and has published widely on CITES, market surveys, wildlife farming and trade policy. His diverse research group includes lawyers, marine biologists, conservation practitioners and social scientists–all interested in environmental governance and policy. Jacob’s current work is supported by a Defra IWT Challenge Grant, and explores the implications for the “polluter pays” principle in the context of illegal wildlife trade. 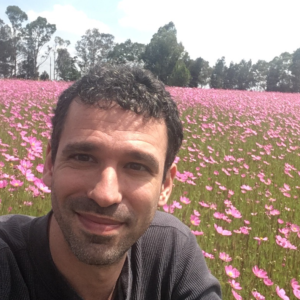 Jacob is also Co-Chair of the IUCN SSC Orchid Specialist Group – Global Trade Programme. The Programme focuses on the illegal trade of orchids–one of the most traded taxa in the world, with hundreds of species threatened by illegal trade.